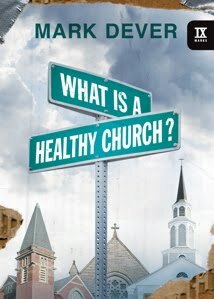 In What is a Healthy Church?, Mark Dever write the following tips for those thinking about leaving a church. Do everything within your power to reconcile any broken relationships. Be sure to consider all the “evidences of grace” you’ve seen in the church’s life—places where God’s work is evident. If you cannot see any evidences of God’s grace, you might want to examine your own heart once more (Matt. 7:3–5). Be humble. Recognize you don’t have all the facts and assess people and circumstances charitably (give them the benefit of the doubt). Take the utmost care not to sow discontent even among your closest friends. Remember, you don’t want anything to hinder their growth in grace in this church. Deny any desire to gossip (sometimes referred to as “venting” or “saying how you feel”). If there has been hurt, then forgive—even as you have been forgiven. Today, Tim Challies posted an article titled When Should I Leave My Church? Tim provides a list of when you must leave and when you might leave. It seems Tim has thought of circumstances which Dever wasn’t considering. For example, if your church is teaching outright heresy, you just might want to divide the body by taking others with you to a Biblical church. Tim Challies lists the following reasons why you must leave a church. If the teaching is heretical (Galatians 1:7-9). If the leaders tolerate error from those who teach (Romans 16:17). If there is utter disregard for biblical church discipline (1 Corinthians 5 and 2 Thessalonians 3:6,14). If the church is marked by utter hypocrisy (2 Timothy 3:5). If you desire better teaching. If you desire to use your gifts. If you desire a more convenient location. If it better serves your family. Be sure to read all of what Tim had to say, as he explains each point in his article. You do not like the pastor. You had a fight with a brother or sister or other conflict. You did something embarrassing and are afraid of being judged. To avoid church discipline or otherwise escape or hide from the authority of your church. Previous post: Why Catechize Kids?